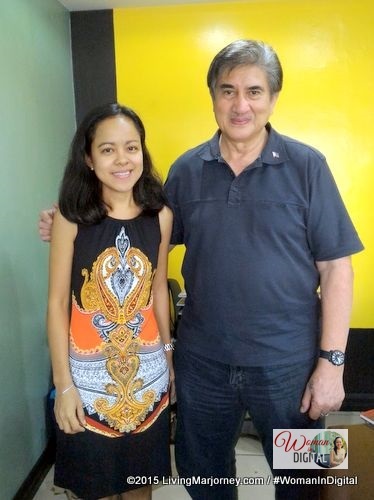 I had the privileged to interview senator Gregorio "Gringo" Honasan who is running for vice president in the 2016 Philippine Election. If my memory served me right, I was a little girl the first time I met him when he visited Fort Bonifacio General Hospital where my grandma used to work. Since then I would only see him in the newspaper and television. Everybody knows Gringo who played a big role in the EDSA Revolution as one of the leaders of the RAM that ended the martial law government. Many years have past, senator Gringo spent 42 years of his life in service. Perhaps, one of the roles that I admire most was Gringo as a soldier. During my nursing career in the military hospital where I used to to work, I established good relationship with the soldiers and their families. Because most of them were my patients in the medical and surgical wards; dependent's ward where their children where usually confined. Their stories in the battlefield and struggles away from their families inspired me. As a soldier, we was assigned and saw actions in different parts of the country. He earned a number of medals, awards and commendations for gallantry in action including three Distinguished Conduct Stars, Gold Cross medals and Wounded Personnel Medals. Gringo became Senator in 1995, the ﬁrst truly independent candidate in Philippine political history to win in national elections. He was re-elected in 2001, and again in 2007. The awards, commendations and contribution about him are all written in different articles and blogs. What I would like to share with you is Gringo on values and leadership. For him, Family remains one of the top priorities. He shared how he remained faithful to his wife and never had any extra-marital affairs with any other woman. Country: "Our job is to teach the young ones what courage means." he said. "The secret to power is learning when to step down"
"Nothing is forever. 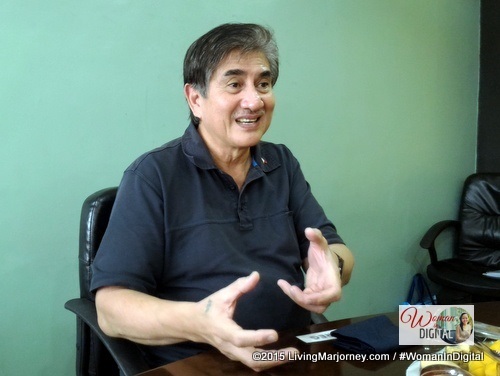 The only forever is love"
When asked about fears, his answer was "always afraid of disappointing God.."
God, Country, and Family matter to Mr. Honasan. During my interview with the senator, I asked him what would be his proposal or action plan to strengthen the military and police system in the country. He said that security is not the role of the police or the military alone. Protecting others, our loved ones should start in our homes and our families, then at the community where we live. As simple as reporting suspicious person and incidents may prevent crimes. I realized he was correct, most of us are afraid to get involve or speak up. But come to think of it, keeping our mouth shut won't help if we want to secure our community. Gringo wants to work on generating more jobs and poverty alleviation. He said he has big plans on protecting the environment, social reforms, national security, good governance, education and public health, youth and sports development. What's a typical day for Sen Gringo? He loves gardening. He spends most of his time with his family, children and grandchildren. He loves listening to music with his daughter Kai. 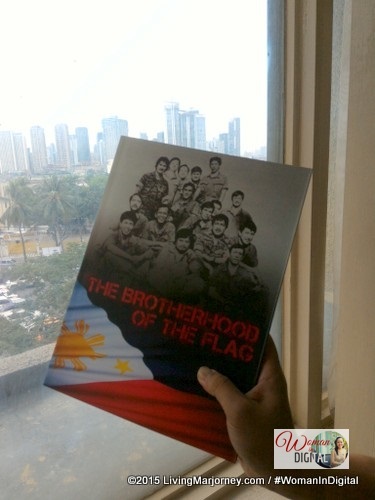 "pero yang God, Country, and Family, wag mong gagalawin yan, dahil pag ginalaw mo yan, away tayo." - Senator Gringo Honasan. For him, karanasan, kakayahan, skills, good track records, are just few characteristics of a good public servant. "Kailangan kumpleto ka with some degree of maturity." 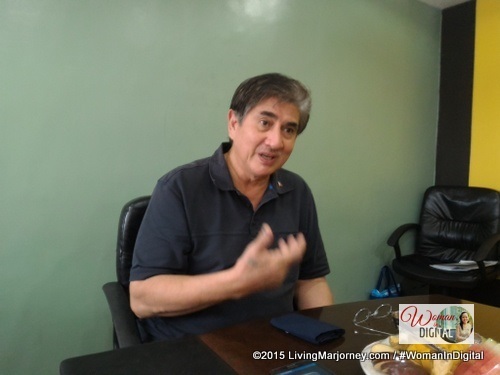 You may also get the latest from Gringo Honasan on Twitter @gringo_honasan. How about you, are you ready for the 2016 Philippine Election? What do you value most? Who do you think is the right person to lead us in the next six years? 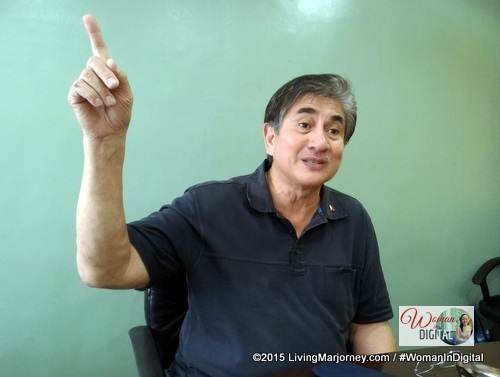 What are your thoughts about Gringo Honasan?